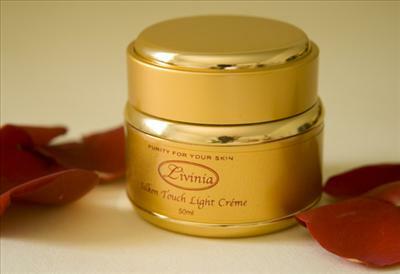 A light hydrating crème formulated to maintain the skin's natural moisture balance and protect from free radical damage. A lightweight formula of jojoba oil, green tea, blackcurrant and cucumber extracts, ylang ylang, rosewood and lavender essential oils. Purified water, jojoba oil(certified organic), emulsifying wax, vegetable glycerine, green tea extract, cucumber extract, blackcurrant extract, citrus seed extract, rosemary antioxidant, essential oils of ylang ylang, rosewood and lavender. Free from sodium lauryl sulphate, parabens, propylene glycol, synthetic preservatives and artificial fragrances.